Brisbane and the surrounding areas are renowned for having streets and parks filled with flourishing trees and vegetation. There is an abundance of benefits from trees, including the provision of food and habitat for our local wildlife and birds, shade and oxygen…and much much more. For the most part, leaving a tree alone to do what it does best is the ideal approach. 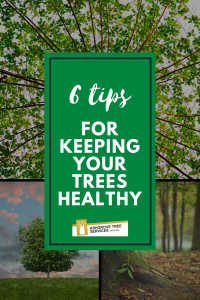 But if you are looking to make a solid contribution to our amazing ecosystem, we have the top tips on keeping your trees at home in their prime! Apply a 3-10 cm layer of good quality mulch around the base of your trees. The mulch should start a few centimetres away from the base of the trunk and extend to the drip line (or at least up to 1 metre). Using a combination of woody & grassy mixture will enhance the soil, prevent weeds and preserve moisture. 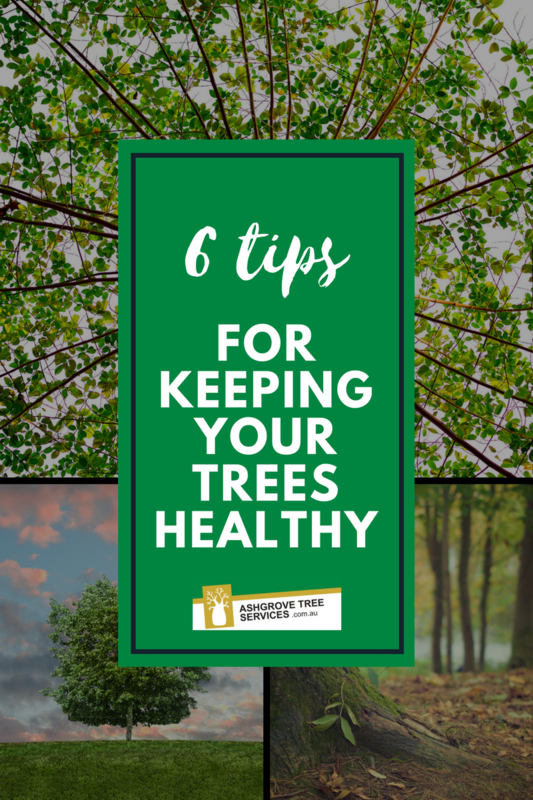 You do not need to be an expert to know there is something a little off about your trees. Keep an eye out for blotchy leaves, insect activity, scabs and blisters, unusual defoliation or yellowing. Once observed, we recommend that you call upon the experts to identify the exact cause to prescribe the appropriate management to correct the problem. Mowers and whipper snippers can be enemies for trees, chipping the bark and creating wounds which make an entry point for diseases. Parking your car under a tree, or driving machinery over the root system can cause soil compaction. Compaction of the soil is detrimental to a tree by reducing oxygen levels and can decrease soil drainage. Over time, it will eventually kill your tree. The root system of a tree can extend much further than the drip line of the tree, and the larger the tree..the bigger the root system. In addition to your own safety, arborists are a qualified professional who knows the specifics on requirements for different tree species. Harsh or over-pruning can promote regrowth which springs back quickly and weaker. Experts can eliminate crossing branches that rub against each other creating wounds, and remove dead and broken branches. They will also be happy to impart as much knowledge as possible with you to help keep the tree in tip-top shape! Overwatering can be just as detrimental as under watering. Try doing some research on what kind of trees you have to determine how drought tolerant they are. Larger and more mature trees may not need much assistance, however, South East Queensland can be prone to extreme and prolonged high temperatures which may affect all trees. The inner city areas of Brisbane are renowned for their leafy trees lined streets, parks and back yards. However, trees provide numerous other benefits that might not be readily apparent. Cosmetically they soften the harsh lines of inner city living, screening off walls of concrete and steel and provide a sense of tranquillity and security. Socially, research has shown that in suburbs that are leafy there is reduced crime. A study was carried out in America that showed that there were health benefits to having urban green spaces, including lowering blood pressure. Many hospitals now include gardens onsite to aid in rehabilitation. The environmental benefits are many and varied with the most obvious being the habitat that they provide to wildlife and biodiversity. A term that is used frequently is the urban forest; this concept includes ecosystems from backyards, street planting, parks and wildlife corridors and sees it as one big ecosystem. Tree also modify local climate and has been shown to lower temperature by up to 4 degrees Celsius whilst also increasing the humidity. Trees shade buildings and hard surfaces reducing re-radiated energy and the ‘heat island’ effect. Wind speed is also reduced, with the amount dependable on the density of the canopies of trees in the area. Trees can also influence the flow of water in several ways. The initial impact of rain and hail can be absorbed and deflected by trees aiding in reducing the severity. This allows greater absorption into the soil and less runoff and erosion. By now unless you have been under a rock you will also be aware of trees role in capturing carbon dioxide, but they also lower energy costs when planted strategically around buildings, leading to a reduction in energy use. Some of the economic benefits have already been touched on and are mainly as savings in energy cost. Well placed trees can reduce energy use by up to 30%. Studies have also shown that in metropolitan areas trees contribute between 13-20% of the value of the property. Houses located in tree-lined avenues have higher property values than those without trees. We have just completed some work at Paddington Central Shopping Centre. We removed a storm damaged tree that had fallen onto one of the neighbouring house’s roof. We also carried out some maintenance pruning on some of the other trees at the centre.. Even commercial client’s trees need maintenance from time to time to promote healthy and safe trees for us all to enjoy. For an obligation free quote and assessment, please call us on 1300 ASHGROVE or contact us via email or visit us at www.ashgrovetreeservices.com.au.